All of the Lancashire towns named as potential areas for new parking charges should come together to fight against the “injustice” of the idea, according to a veteran Chorley shop owner. Malcolm Allen - who has run Malcolm’s Musicland for 45 years - made the call after Lancashire County Council’s cabinet agreed to launch a public consultation on proposals to introduce on-street pay and display spaces in almost a dozen areas. Around 4,000 signatures have been gathered on two petitions from the east of the county - one of which was presented at an acrimonious cabinet meeting earlier this week. READ MORE >>> Where could proposed pay and display machines and bus lane cameras be installed? According to Malcolm, who is also chair of the Chorley Traders' Alliance, the town’s presence on the list of possibilities should spur locals into action. “It will deter some people - you expect to pay on-street charges in cities, but it could be a death knell for a lot of businesses in local market towns,” Malcolm said. The county council is responsible for roadside parking arrangements, but off-street car parks are operated by district authorities. And Malcolm says that could provide Chorley with an opportunity, no matter what the outcome of the county-wide consultation. “Our local council offers up to three hours of free parking [in the town's long stay car parks] - and the traders would actively promote that. The whole thing just seems like a total waste of money and a hair-brained idea. “The internet does have an impact on the high street and even the government have recognised this by reducing bus rates. The last thing we need is to charge shoppers to come to Chorley,” Malcolm added. 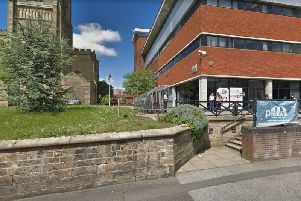 A spokesperson for Lancashire County Council said: "A number of areas are under consideration, but no decisions have been made about where these spaces would be introduced. "Applying charges to on-street parking can help to ensure turnover of spaces where there is demand, making it easier for people to visit local businesses. "There is a requirement to consult on all new traffic regulations, so people will have an opportunity to give their views before any changes to parking are introduced."